Here are the many service opportunities available where you can use the gifts & talents that God has given you. We know how important it is for children to learn about Jesus from a very young age. That’s why at Catalyst, we feel the children’s ministry in one of the most important ministries we have. We desire to have a warm, welcoming, fun place for children to learn about Jesus every Sunday morning. You can serve as a teacher (we will train you), serve as a helper to the teacher, or a nursery worker. We really need your help because these kids need you and Jesus! If you love children, this is the ministry for you! 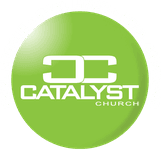 Another vitally important ministry in Catalyst Church is our Youth Ministry. Statistics show most people will accept Christ before they reach the age of 18. The teen years are so impressionable and knowing that, we have created a safe, welcoming place to tell teenagers about the love of Christ. We also want to plan fun things for the teens to do as an alternative. Our Youth Ministry meets at the church building every Wednesday. Before the worship service even begins, first-time guests usually decide whether they’ll return to your church. This means church leaders need to create no-fail, practical ways to ensure a guest’s “first impression” is the best impression. When guests feel valued, they will return, and when they do, they’ll have the opportunity to experience Jesus’ love. Let guests know they matter to God so they matter to us.Our goal is for a person on 1st Impressions to serve every other week by showing up at 9:45am. You will be assigned to an area and work as a team to make people feel right at home. ﻿Contact the team leaders Alan Goad or Wes Goad for details. “Cleanliness is next to godliness” or so the saying goes. 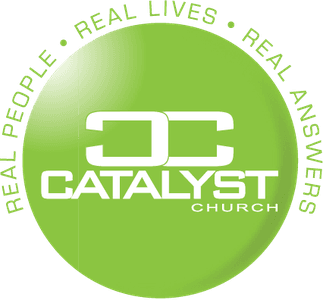 God has entrusted 28,000 square feet of space to Catalyst Church. Taking care of this space is a part of good stewardship. In order to have a clean, inviting place for the Church to worship, we need your help! Scrubs teams are on a weekly rotation, and it is our goal that each team only has to clean once a month. Cleaning duties include: sweeping, mopping, vacuuming, dusting, straightening and organizing. I﻿f this sounds like something you would be interested in contact the team leader Melinda French! The service team at Catalyst is responsible for planning and organizing all of the service projects we do together as the church. This team meets on Monday nights (as meetings are scheduled) to discuss and plan the upcoming projects. If this sounds like something you would be interested in, contact David Whitmore today! 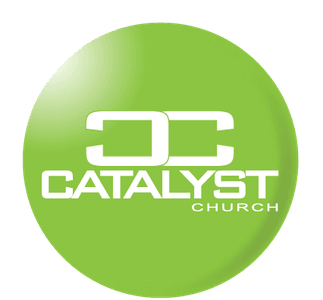 You may have noticed, we think outside of the box at Catalyst Church. We use many creative elements in the sermons, and many of those ideas came from the Creative Team. The Creative Team also decorates the stage to fit the sermon series. Are you creative? Do you think outside the box? Then the Creative Team may be just the team for you! This team is responsible for all of the things you see and hear during a Sunday morning worship service. This team runs the lighting, sound, and media that is used every single week. Are you tech savvy? Do you have experience running a sound or lighting board? If no, we can teach you, and if yes, then this team is for you! Contact the team leader Becca Matthews today!